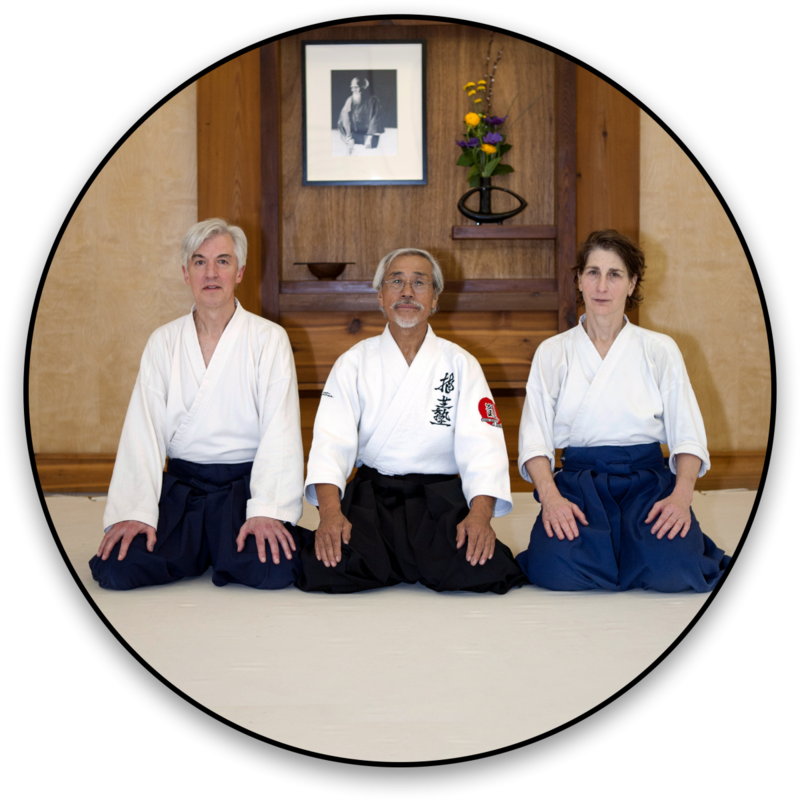 Aikido of Madison was founded by Robin Cooper and John Stone in 1984 with the approval of Mitsugi Saotome Sensei (teacher), with whom they have studied since 1978. Saotome Sensei is a direct student of the founder of Aikido, Morihei Ueshiba and the head of Aikido Schools of Ueshiba (ASU) an international organization. Robin and John both began their study of Aikido in 1974. Both John and Robin hold the rank of rokudan (6th degree black belt), which they received in January, 2006 from Saotome Sensei. Robin Sensei is the chief instructor and Dojo Cho (head of the dojo) at Aikido of Madison. John Sensei continues in a supportive role at the dojo. In addition to the chief instructor, Aikido of Madison has a group of experienced and highly qualified black belt instructors. John Sensei has also studied tai chi, boxing and Cheng Hsin Tui Shou with Master Peter Ralston since 1990 and is the co-author, with Ron Meyer, of Aikido in America. Click on the links below to read the founder’s bios.